Ex-F1 driver Karun Chandhok believes Max Verstappen now has what it takes to become F1 world champion in 2019. Max Verstappen has now “matured enough” to compete for and win Formula 1 world championships, according to former driver-turned-pundit Karun Chandhok. 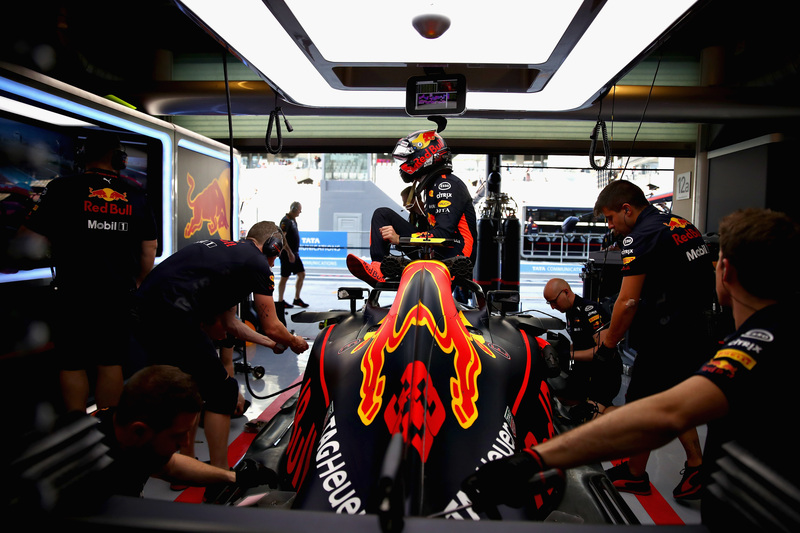 Verstappen endured a mistake-ridden start to 2018 but recovered strongly to end the season as the highest-placed non-Mercedes or Ferrari driver in the championship in fourth, taking two wins in the process. He outscored every driver except world champion Lewis Hamilton in the second half of the campaign, with the Mercedes driver and title rival Sebastian Vettel among those to back the Dutchman for a title push in 2019. Ex-HRT and Lotus driver Chandhok said he can see similarities between Verstappen now and Hamilton’s first title-winning year in 2008, adding his success ultimately rests on whether Honda can supply Red Bull with a strong power unit in the first season of its new engine deal. “I think Max has now matured enough and he’s ready to be world champion,” Chandhok said at Autosport International. “He’s like Lewis was in 2008, he’s ready to be fighting for the world championship and put together a season-long campaign. Red Bull’s sister team Toro Rosso made steady progress with Honda last season and was encouraged by the engine gains the Japanese manufacturer found late in the season. Chandhok hopes continued improvements will ultimately lead to a three-team championship fight in the upcoming season. “There were signs of Honda starting to get it together if you look at the back end of last year, they introduced an engine upgrade for Toro Rosso in Suzuka that really seemed to make a step forward,” he said. “We saw more evidence about it in Austin and know Red Bull are very optimistic about it. If they can deliver I think that’s great for F1. If we can have Ferrari, Mercedes and Red Bull, potentially six cars fighting it out, that’s exactly what we all want to see. QUIZ: How well do you remember F1 2009?